Keyword, Competitor & Market Research. Your business requires effective online strategies that can increase your online traffic and provide you with an ROI. The cornerstone of an effective strategy lies in the keywords that are used. Whether your business targets general consumers or B2B we can deliver insightful keyword research & reports that can get you results faster. Crucial Stats & Data Keyword & Market Data for effective Campaigns. Exploring and conducting in depth research to identify crucial keywords for your campaigns can be a daunting task. 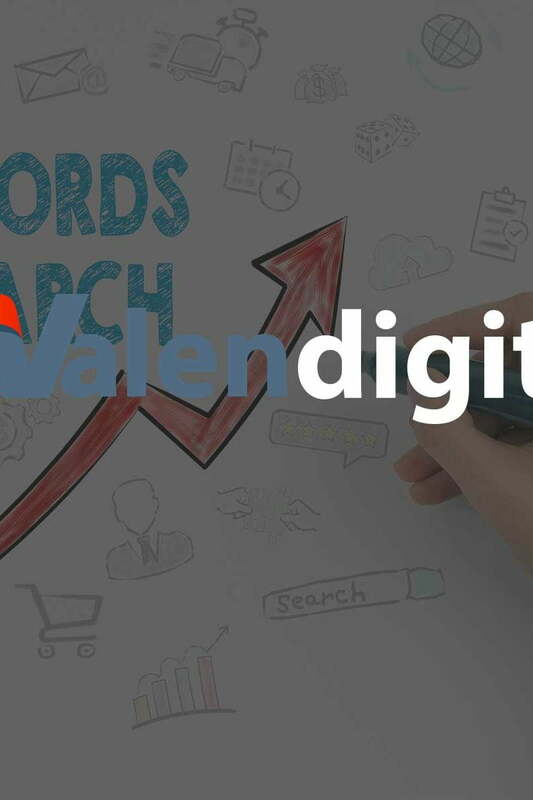 At Valen Digital we delve into your competitors and industry markets to identify relevant keywords. This can provide you with a quick win and also address those bigger SEO goals that you have in mind. Our in-depth keyword, competitor and market research will provide you with data that can be be used for any of your marketing campaigns. The data we provide is actionable and can transform your online strategy to increase your traffic when combined with an effective marketing campaign. Depending on your requirements we will provide you with a powerful list of keywords that can combine essential keywords, competitor and market research keywords to use with your campaigns. These will be perfect for SEO, PPC and content marketing campaigns for your online presence. Identify Key Terms & Phrases. Effective keyword research is essential for your online marketing success. Our in-depth keyword research will identify which terms and phrases you can utilise in your marketing campaigns for the most effective results. This in depth research will also identify what topics you should be writing about and which phrases to use. We combine this in-depth keyword research with the keywords that your website already performs for. Our keyword list is developed specifically for SEO & PPC campaigns but can also be used to formulate your overall business strategy and target the right audiences. We conduct in depth keyword research into your competitors. This will help identify what terms your competitors are using. However just because your competitors are using them doesn’t mean that they would be good for you. Understanding what works for your competitors will allow us to focus and identify gaps which they haven’t explored or benefited from. We will identify the key terms that fall in line with your overall keyword research and combine them for a powerful list that can be used for your campaigns. Conducting in depth research into your market will help identify new opportunities that competitors are not looking at. This can allow you to own the market share for that particular keyword and term. We collect all the relevant information from within your market industry and identify the keywords that would be relevant. We further drill down into those terms and identify the most suitable terms and keywords that would provide you with the most relevant traffic for you website. Combining this with our essential keyword and competitor keyword lists you will have a highly relevant seed list to use for your campaigns.